Came during off season. Was as if we had the hotel to ourselves. Room was spacious. Had a king sized bed. Kitchenette doors were broken in the room, A weird coffee stain on the couch and lamps were dirty and there was dust in the usual spots, but sheets and towels were clean. Bathroom was clean. Big king sized bed, and it was walking distance from the city centre. 3.5/4 out of 5. I would come back to the hotel. Where to find St-Adolphe-d'Howard hotels near an airport? Where can I find hotels in St-Adolphe-d'Howard that are near tourist attractions? As there's 10 Expedia-listed rooms in and around St-Adolphe-d'Howard, visitors here have a range of options. 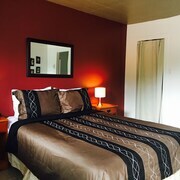 St-Adolphe-d'Howard offers about 10 hotels within easy driving distance of the town center. Those looking for a hotel close to the center of St-Adolphe-d'Howard won't find too many options other than the popular Attitude Montagne. 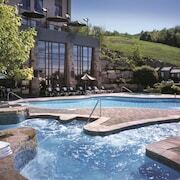 You could investigate the Les Manoirs - Tremblant Sunstar as well as the Hôtel Quintessence. 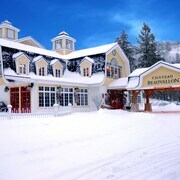 The Les Manoirs - Tremblant Sunstar can be found 35 kilometres (20 miles) away from downtown St-Adolphe-d'Howard. The Hôtel Quintessence, is situated 35 kilometres (21 miles) away. 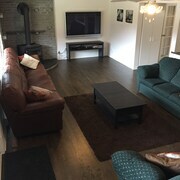 The Fiddler Lake Resort and also the Les Falaises Ski-in Ski-out Condo are some alternative places to book accommodation around St-Adolphe-d'Howard. 16 kilometres (10 miles) from St-Adolphe-d'Howard is Sainte-Adele, where you can spend a few hours exploring Village du Pere Noel and Glissades des Pays d'en Haut. Expedia-listed Sainte-Adele hotel options include the Hôtel Spa Château Sainte-Adèle and Hôtel Spa Excelsior. Or, you could stay in Lac-Saguay, 90 kilometres (55 miles) to the northwest of St-Adolphe-d'Howard, where you can choose from the Motel Ours Bleu and Motel Dodi. If you stay in Lac-Saguay, make sure you visit the Parc Georges Painchaud and Municipal Beach. Before your St-Adolphe-d'Howard trip comes to an end, why not spend an hour or two rubbing shoulders and cheering along with local sports enthusiasts at a local game. Olympic Stadium is 75 kilometres (47 miles) to the southeast of St-Adolphe-d'Howard. Stay close to the action at the Auberge de La Fontaine or the Loft Hotel. Before you make tracks to St-Adolphe-d'Howard, take the time to have a look through our St-Adolphe-d'Howard travel guide where you'll be able to find the inside scoop the many attractions this fascinating place offers. 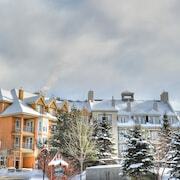 What are the most popular St-Adolphe-d'Howard hotels? Are there hotels in other cities near St-Adolphe-d'Howard? What other types of accommodations are available in St-Adolphe-d'Howard? 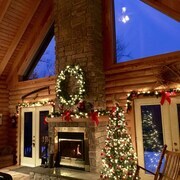 Explore St-Adolphe-d'Howard with Expedia.ca’s Travel Guides to find the best flights, cars, holiday packages and more!